Robert Moton (1867-1940) was an important educator, writer and activist, who established one "track" of the movement that sought to bring equality to blacks in the early 20th century. His approach to empowerment was twofold: blacks should should strive to live a moral life, and they should develop their talents to the highest level possible. In this way, whites would find no fault in their character upon which to exclude them from mainstream life, and they would also be seen as invaluable assets in business and commerce. Moton was born just after Emancipation to former slaves. He gained a high level of education at the Hampton Institute, a military style school. Moton reached his zenith when he took up the leadership of the Tuskegee Institute after Booker T. Washington, and he was the one chiefly responsible for establishing the famous hospital for black war veterans. Moton, like many other members of his race, had been concerned that he would not be able to prove to the world that blacks were indeed justified in their emancipation, that they could take up their place as productive citizens. He was also concerned about misunderstandings due to cultural differences. Consequently, Moton used every opportunity to identify the distinctive attributes of various races, such as native Americans, Europeans and Asians. 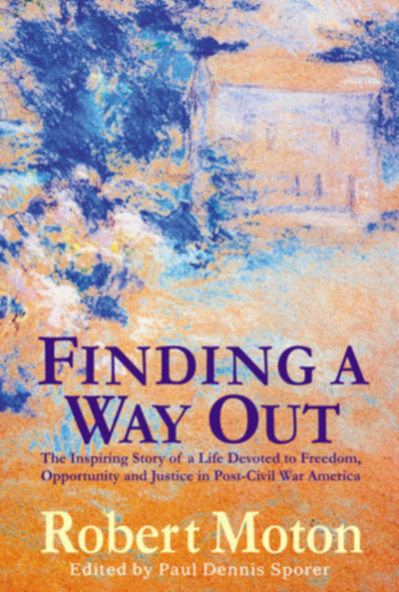 His memoir, Finding a Way Out, discusses these and many other matters that illuminate the diverse and complex culture of American life.